This is one of those times when I am proud of my 15-Year-Old Self for coming up with ‘The Dirty Gentleman’ as a pub’s name. Though what about the rest of the story? No ideaaaaaaaaa we shall see in the end. 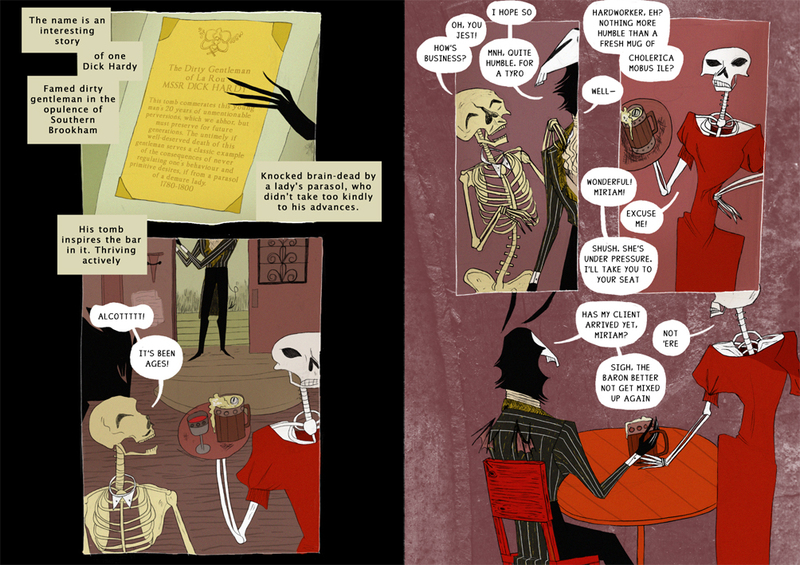 Aaah, this comic has such a nice flow of conversation! The distinctive voices of the characters, the personality behind them, coupled with the composition of the panels as well as the poses of everyone really breathe life into everything. A very enjoyable comic!